BrainLine.org. An invaluable resource for survivors, family members, caregivers, and professionals, too. Brain Injury Alliance of Colorado, has a wealth of information and helpful links, for people in Colorado and elsewhere. Also, in their resources section, see their excellent collection of favorite articles from BrainLine.org. BrainFacts.org. An authoritive source about the brain and nervous system created for the public by leading scientists and experts. Brain Injury Association of America, with links to find an affiliate near you. Brain Injury 101. 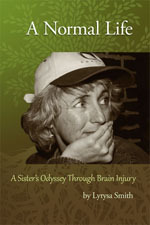 A good source of information about brain injury presented in videos and text. Also includes information about spinal cord injury. CDC on Traumatic Brain Injury. This article from the Centers for Disease Control and Prevention covers many aspects of TBI. Defense and Veterans Brain Injury Center. A resource for active duty military, their families, and veterans with TBIs including state-of-the-art clinical care and a wealth of educational materials. Make the Connection. Shared experiences, resources, and support for veterans, with information on TBI and mental illnesses and disorders. Making Headway. Useful info from organization in California that helps to create opportunities and pathways for people with TBI and their families. AARP’s Brain Health Center. Articles and information about brain health, brain injury, and brain wellness. AARP’s Brain Health Blog. News, tips, and tools to understand the brain and promote brain wellness. Psychology Today blog article, with many additional linked resources, about how brain injury plunges survivors and family caregivers into a tailspin. Written by a medical professional and caregiver to a person with a brain injury. Psychology Today blog article, about how a personality change after brain injury impacts recovery and relationships. Headway. A brain injury association based in the UK, with excellent information about brain injury, including a number of useful fact sheets. The Society for Cognitive Rehabilitation, offers links to a variety of resources and community-oriented sites for caregivers, survivors, and families. An organization that is developing best practice guidelines, conducting clinical research, and educating medical professionals and consumers to improve TBI patient outcomes. Brain Injury Resource Center. A complicated website that’s tricky to navigate, but has basic information and resources presented in a conversational way. Lumosity. Online brain training programs designed by neuroscientists to improve brain health and performance using brain games to exercise memory and attention. Brain Injury Institute. Basic summaries about brain injury supported by funding from attorneys throughout the country who specialize in aiding traumatic brain injury survivors. Brain Injury Law Center. A U.S. law firm dedicated to representing victims of brain injury and their families and helping them get compensation to alleviate the financial burdens often incurred as a result of brain injury. The Family Caregiver Alliance, the National Center on Caregiving (often known as caregiver.org), offers the most complete resources for all issues related to caregiving as well as information about the illnesses, chronic conditions, and injuries of those who need care. Caregiver Action Network (CAN) provides education and resources for all types of caregivers and their variety of caregiving situations. Caring.com. An all-in-one site with advice on caregiving, long-term care, talking with elders, and insurance issues. Third Age. This section of this website for women who are “boomers and beyond” offers caregiving advice and information. The New Old Age. A New York Times blog with a focus on the elderly and the adult children who struggle to care for them. Psychology Today blog article, about how to respond and what to say–and not say–to a caregiver. Learning Services, offers a variety of acquired brain injury (ABI) rehabilitation programs and supported living options designed to provide individualized treatment programs for adults with brain injuries. Assisted Senior Living. Created by caregivers for caregivers, a comprehensive, national directory of senior care and other care needs options. Assisted Living Federation of America. An organization committed to ensuring excellence in senior living, assisted living facilities, and residential communities, with a database of assisted living facilities searchable by location or parent company. National Center for Assisted Living. The assisted living voice of the American Health Care Association (AHCA), with a “facility finder” that factors in cost, method of payment, mobility, dietary needs, activities, and amenities. Information page from Unity Home Group in Alaska, a state with a high incidence of carbon monoxide poisoning. Undersea and Hyperbaric Medical Society. The UHMS is the primary source of scientific information for diving and hyperbaric medicine physiology worldwide. Marion Roach Smith, an expert in writing memoir, with a totally useful and fun website. She also wrote the best book on writing memoir, The Memoir Project: A Thoroughly Non-Standardized Text for Writing & Life. The Creative Penn offers an astounding array of helpful resources on writing, publishing, and book marketing, from Joanna Penn. Maria Murnane, a novelist, blogs and offers suggestions for how to publish and market your book. One Girl One Novel. Check out writer Wanda Shapiro and her innovative plan and her soon-to-be three novels to see how indie literature can really work.